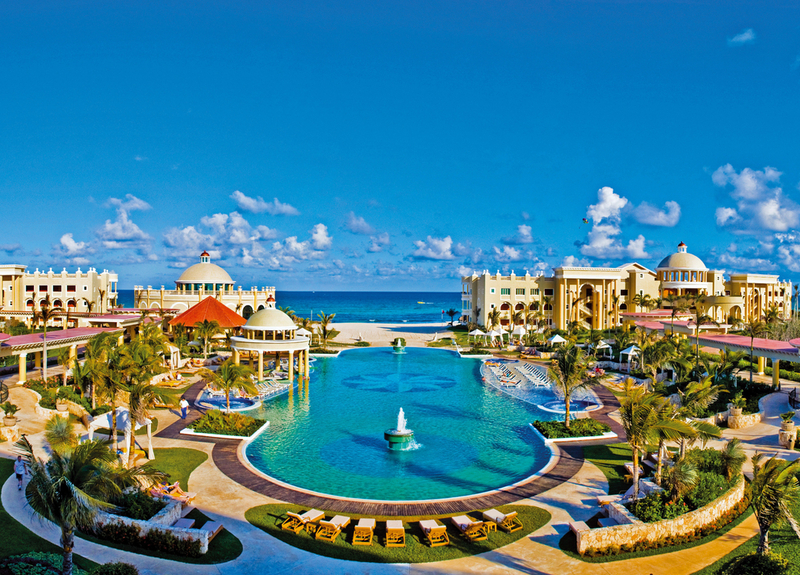 The Iberostar Grand Hotel Paraíso is a utopian destination in Playa del Carmen, Mexico. One of the hotel’s three pools. Botanical gardens line the Grand Hotel Paraíso’s Neo-Renaissance halls. 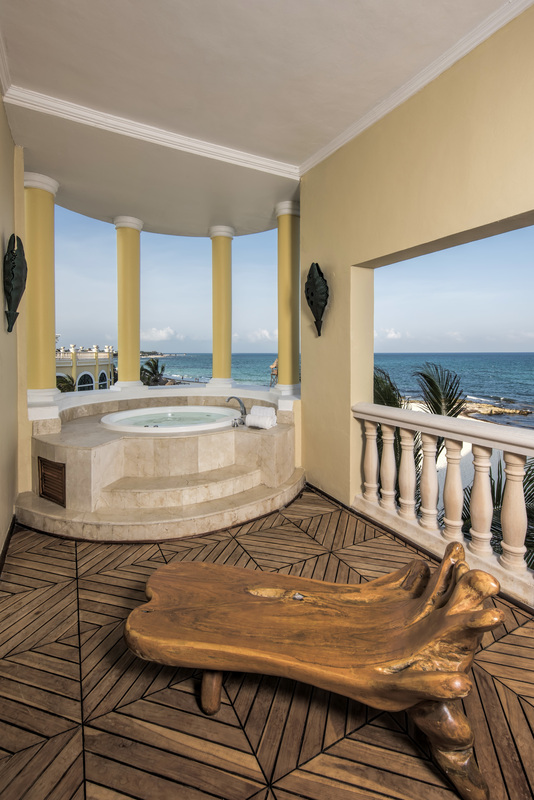 Stay in one of the hotel’s villas equipped with a marble whirlpool and private terrace with ocean views. A comfortable sleep is ensured through the hotel’s Pillow Menu service. 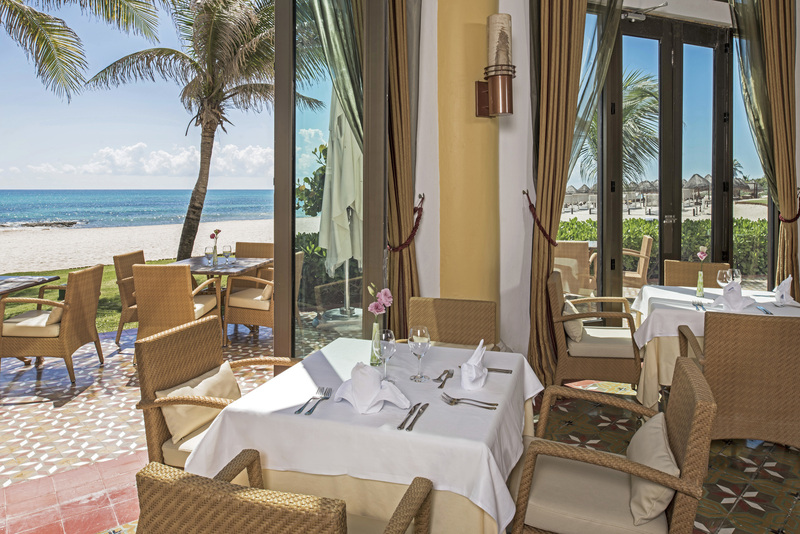 The property has four incredible specialty restaurants to choose from. The hotel is a lush and sprawling compound located along a white-sand beach. 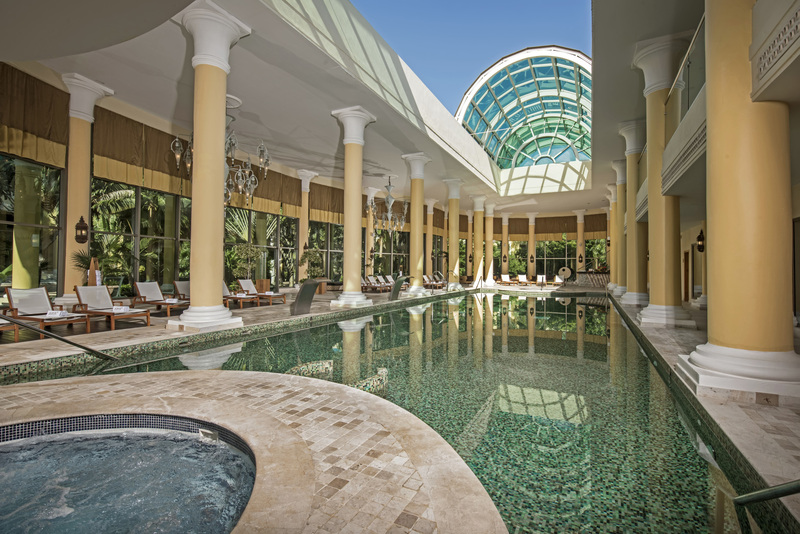 Arriving at the Iberostar Grand Hotel Paraíso is like passing into a utopian dimension. Here, little and luxurious details are expertly deployed from the moment my pedicured toes hit the lobby. Greeted with a cool towel, a warm smile, and a chilled glass of champagne, I hardly notice as my bags are whisked away to my room. I check-in while the concierge inquires if the butler can go ahead and unpack for me, too. 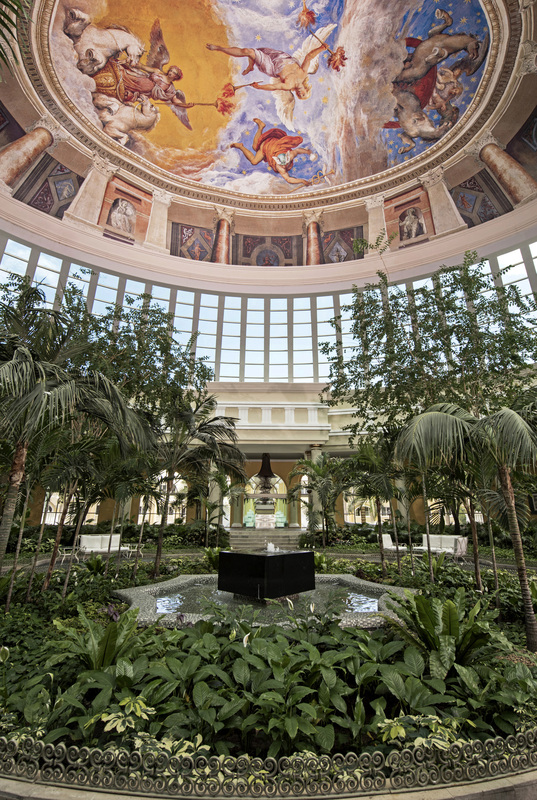 A jewel in the crown of Iberostar’s global family of luxury hotels, this adults-only, five-star resort was built over five years to defy reality and deliver a dream-like escape. A short drive from Cancun International Airport, the Mayan hideaway offers 310 suites and 10 secluded villas all with a private terrace, marble whirlpool baths, and ocean or garden views. 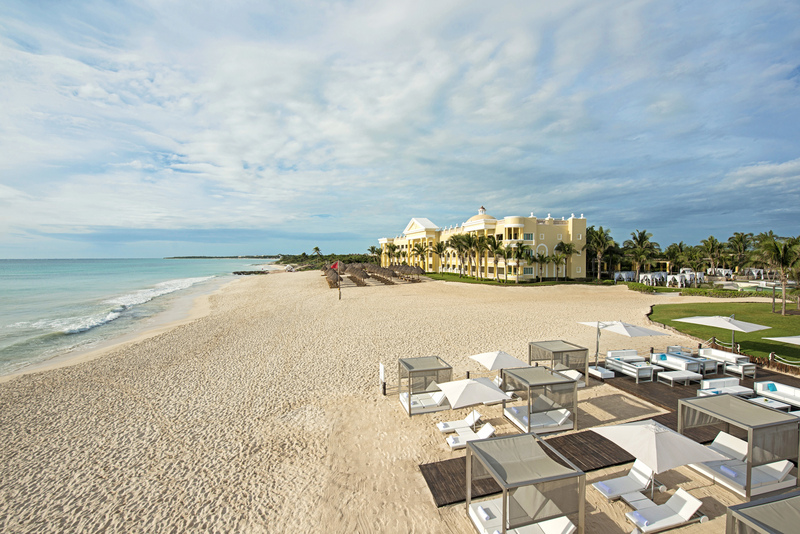 A lush and sprawling compound, the Grand Hotel Paraíso is brimming with wide-open space and thoughtfully curated amenities including a spa, wine tastings, cooking classes, and three pools, as well as on-demand butler service, all on a long stretch of white-sand beach. I wander to my room along the open-air, Neo-Renaissance halls lined with botanical gardens and singing tropical birds. So massive is the elegant resort that even though it’s 70 per cent full I delude myself into believing I’m walking the halls of a private tropical castle. In my suite the mini-bar is personalized and pre-stocked with my favourite wines and spirits. Pouring a drink, I relax into a lounger on the terrace to decide which extra indulgences to pile on to this already luxurious holiday. I start with the Pillow Menu. 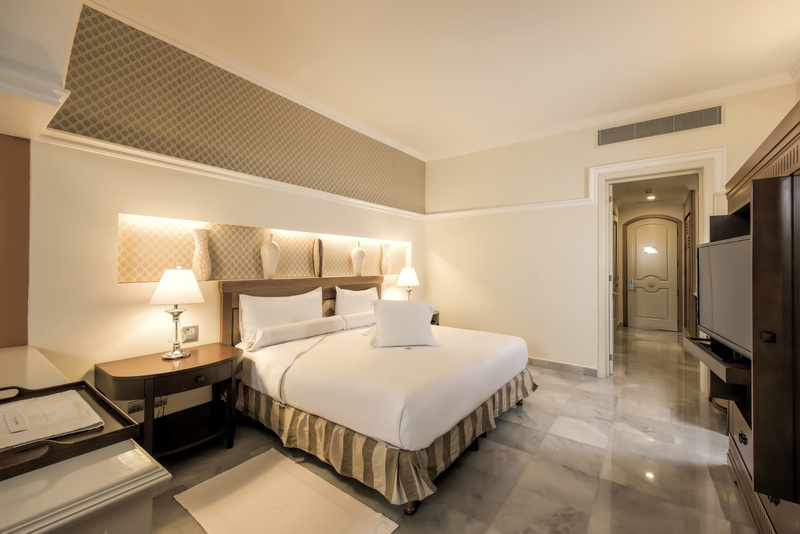 Iberostar believes that sleep is a matter of personal taste. As a fussy sleeper who refuses to travel with a pillow, testing and selecting from the Pillow Menu is a joy. A quick call to the butler to order a “pillow tasting” and a bottle of champagne and I’m sipping bubbles and evaluating neck support before dinner. While there are four incredible specialty restaurants, the resort’s Chef on Tour events are where Iberostar meets Michelin star. This series of dinners curated by in-demand, Michelin-star chefs from around the world are held throughout the year at various Iberostar locations. I was lucky enough to attend an evening hosted by chef Manuel Berganza of New York’s Andanada Restaurant. Throughout the delightfully long and indulgent evening, chef Berganza delivered a marathon of nine incredible courses each paired with a carefully selected wine. In the spa, Turkish baths, couples massages, and soothing saunas await; but it’s the pre-Hispanic temazcal experience that truly expands wellness horizons. Guided by a temazcalera (shaman), this treatment releases toxins and energizes connections between body and mind. Seated in an igloo-shaped structure around a hearth of hot stones and herbs, your guide elevates the heat and steam under the domed roof compelling the body to sweat and relax. 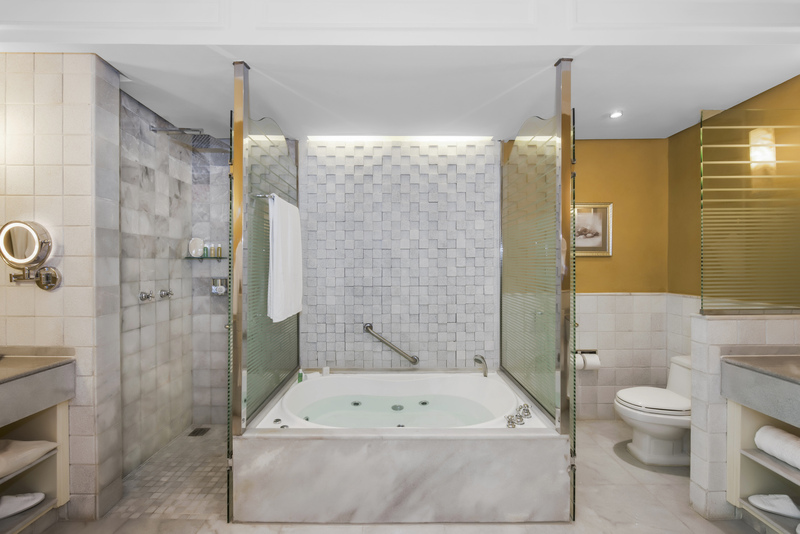 This treatment achieves a feeling of renewal and clarity to unlock a lasting vacation state of mind. 2017-2018 Chef on Tour details will be announced in the coming months.